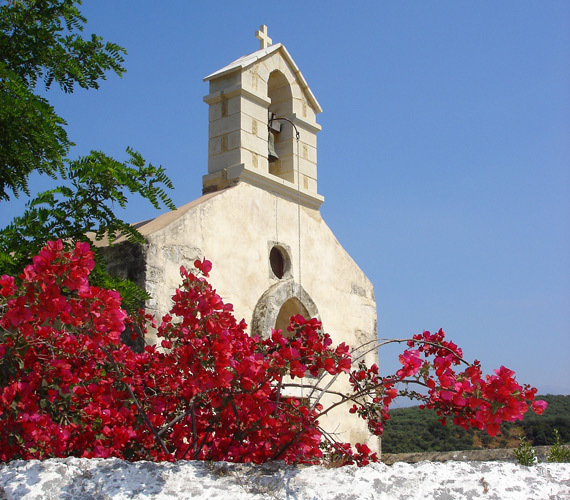 WE ARE IN XIROKAMBI, A SMALL CRETEAN VILLAGE LOCATED A COUPLE OF MILES INLAND FROM THE NORTH WEST COAST OF CRETE, WEST OF THE CITY OF CHANIA. CRETE, LIKE ALL THE GREEK ISLANDS, IS FAMOUS FOR IT’S BEACHES. THE NEAREST BEACH IS MALEME. The nearest beach is at Maleme, which is a pebble beach. 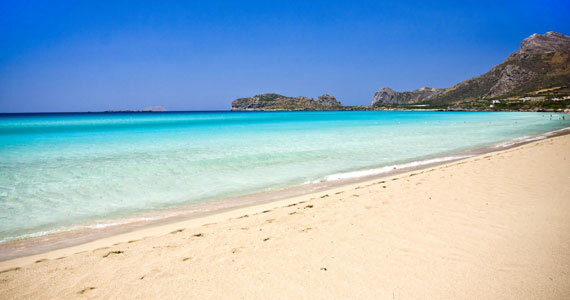 Platanias and Chania are sandy beaches were you can hire sun beds and all sorts of water sports. 45 minutes away, there is the sandy beach at Fassanaia. However, one of the best beaches on the island is the Elafonisi which is about 1.5 hour drive through the breathtaking White Mountains. Elafonisi boasts crystal clear waters with it’s famous pink sand from washed up corals and the opportunity to wade out to Elafonisi island which offers unspoilt beaches. 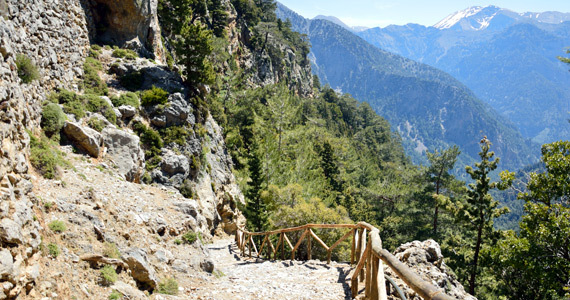 FOR ADVENTURERS, THE SAMARIA GORGE WALK PROVIDES GREAT HIKING TRAILS. THE WALK IS ABOUT AN HOURS DRIVE AWAY. The 16 km walk, which is not terribly difficult, is downhill and takes about 4 hours or so. The only problem for independent travellers is you then have to walk uphill back to your car! However, we can arrange tours which will collect you from Maleme and take you to the start of the walk and will collect you by ferry from the coast and then by bus back to Maleme; or we can put you in touch with the local taxi firm who will organise this for you. 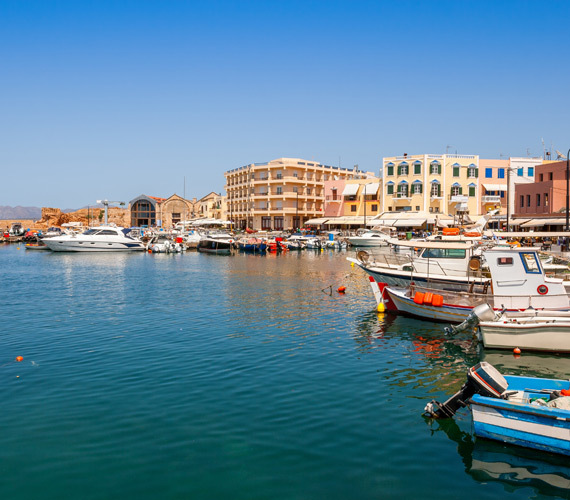 THE TOWN OF CHANIA IS FAMOUS FOR ITS OLD HARBOUR, BUILT BY THE VENETIANS. PLENTY OF TAVERNAS, RESTAURANTS, BARS AND SHOPS! A visit to Chania is a must and in particular the old venetian harbour and the labyrinth of side streets with shops, bars and restaurants leading up to the main part of the town. There are museums and the central market is also worth exploring. EXPLORE THE REST OF THE ISLANDS TRAILS, HISTORIC SITES AND VILLAGES. 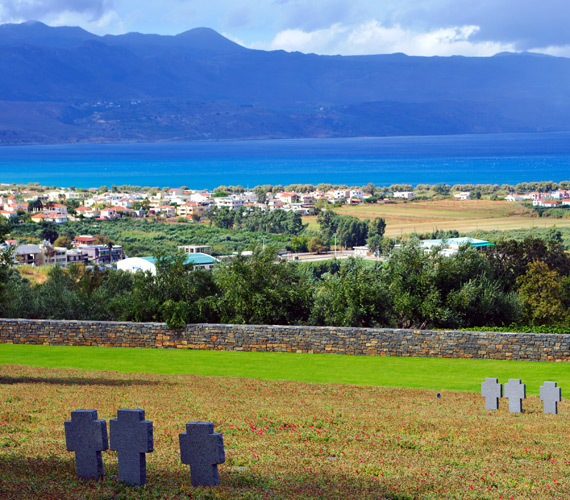 CRETE IS 260 KM LONG AND 56 KM AT ITS WIDEST POINT. Or why not take a drive and explore the island for yourself? Driving through the White Mountains might not be for the faint hearted but your will be well rewarded with stunning scenery, welcoming villages many with places to stop for a drink or a bite to eat, historical archaeology and so much more. 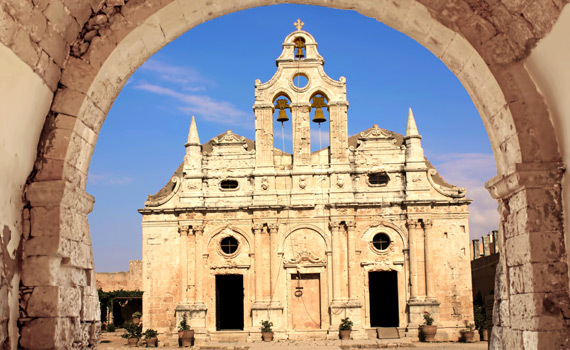 Some of the recommended trails are to Elafonisi, the south coast and the Akroterie peninsula, which is by the airport, for it’s monasteries. The city of Chania is about 30 minutes by car. 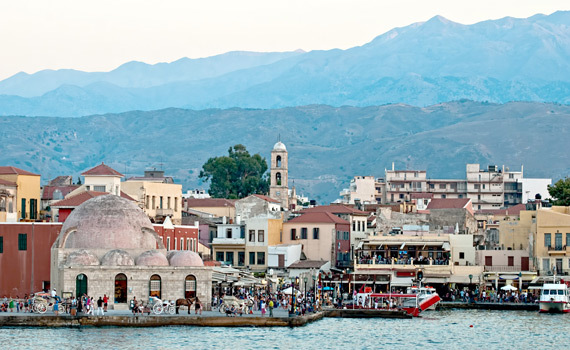 Famous for its old harbour built by the venetians, lined with tavernas, restuarants, bars and shops, it is the capital city of the west side of Crete. The main town for area is Platanias which is only 10 minutes by car and is predominantly more touristy than Maleme, and much bigger, where you will find far more shops, tavernas, restuarants, bars and night clubs. 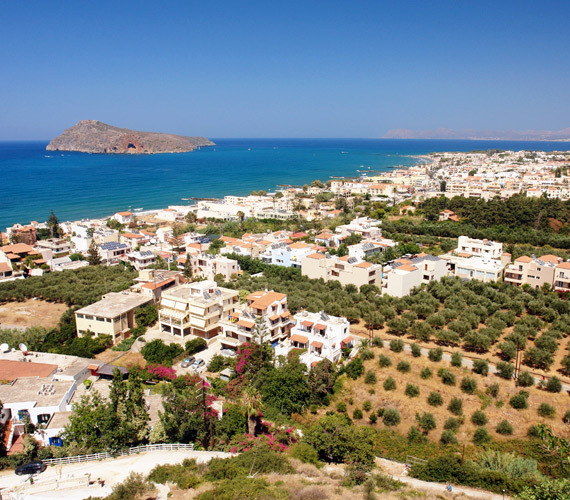 Additionally, there are banks, ATMs and 24 hour medical care in Platanias – open all year round. The nearest town is Maleme which is on the coast and is only a five minute drive away. Here you will find the co-operative supermarket, butchers, bakery, green grocer, other shops and restaurants in the main part of the town along the old coastal road with further shops, bars and restaurants by the beach normally only open during the main tourist season. Xirokambi is a small Cretean village located a couple of miles inland from the north west cost of Crete, west of the city of Chania, set high in the hills, it has become one of the most sought after locations in the area due to the amazing all round views of Chania to the east, the white mountains to the south, the western peninsula and the sea to the north. It is completely off the tourist trail except for those tourists in the know or are simply lost! The village is surrounded by olive trees and most of the village populations are farmers. The village features a church but that’s about it – there are no shops, cafes or restaurants in the village.